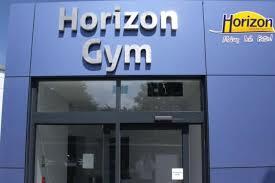 CherryLux Lighting were approached by Horizon Leisure Centres to look at the lighting for the Gym in Havant, and to design a solution to switch across to LED lighting. CherryLux assisted Horizon Leisure Centres to obtain funding through the Green Business Fund, being a Carbon Trust Accredited Supplier. 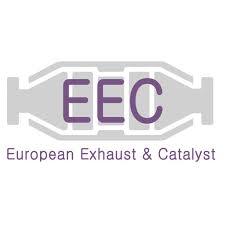 CherryLux Lighting were approached by European Exhaust and Catalyst to look at the lighting for the main warehouse at their headquarters in Waterlooville, after a refurbishment of their warehouse and the inclusion of mezzanine flooring throughout. CherryLux Lighting designed a solution for the multiple racked areas and included daylight and movement sensors for all areas, meaning further savings would be made when areas of the warehouse were unattended. CherryLux Lighting provided a Free lighting survey when System Insight moved into their new premises. Following the survey it became apparent that huge savings could be made by switching all the offices across to LED panels with the inclusion of motion sensors in areas with low occupancy. The solution that CherryLux Lighting provided significantly reduced the number of fittings that were currently installed, and also aesthetically improved the offices appearance as the original fittings were surface mounted. 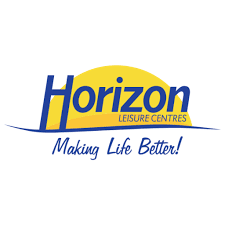 CherryLux Lighting were approached by Horizon Leisure Centres to look at the lighting for the main swimming pool and splash pool in Waterlooville, to design a solution to switch across to LED lighting. The existing lighting was installed by CherryLux Lighting over nine years ago, and by switching across to LED lighting maintenance costs would be eliminated moving forward. CherryLux Lighting provided a Free lighting survey when Eaton approached us to look at a solution for the main reception at their Havant site. Following the survey and listening to the customers requirements, CherryLux Lighting designed an LED solution including LED panels, LED spot lighting and LED tape. The solution that CherryLux Lighting provided aesthetically improved the receptions appearance, along with reducing energy consumption and maintenance costs moving forward. CherryLux Lighting provided a Free lighting survey at Harwin’s head office in Portsmouth, to design a solution for the warehousing and production areas. CherryLux Lighting installed our high bay fittings with the inclusion of daylight and motion sensors built in to each individual fitting to make additional savings when areas in the warehouses were unattended. CherryLux Lighting provided a Free lighting survey at one of Sainsbury’s large bonded warehouses to design a solution to offer financial savings and improve the current lighting they had in place. The solution that CherryLux Lighting provided improved the lighting levels and the inclusion of daylight and motion sensors into each of the 500 high bay fittings, helped further reductions in energy consumption in areas that were unattended at times within the warehouse. CherryLux Lighting provided a Free lighting survey at Nampak’s Oakthorpe site, to design a solution for the warehousing, production and office areas. 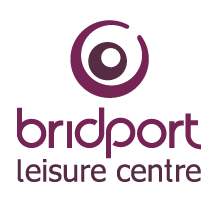 CherryLux Lighting provided a Free lighting survey at Bridport Leisure Centre in West Dorset to design a solution to offer financial savings and improve the current lighting they had in place. The solution that CherryLux Lighting provided increased the sports hall’s average light levels from 350 lux to almost 500 lux, as well as creating a more uniformed spread of light across the area with reduced glare and scalloping.